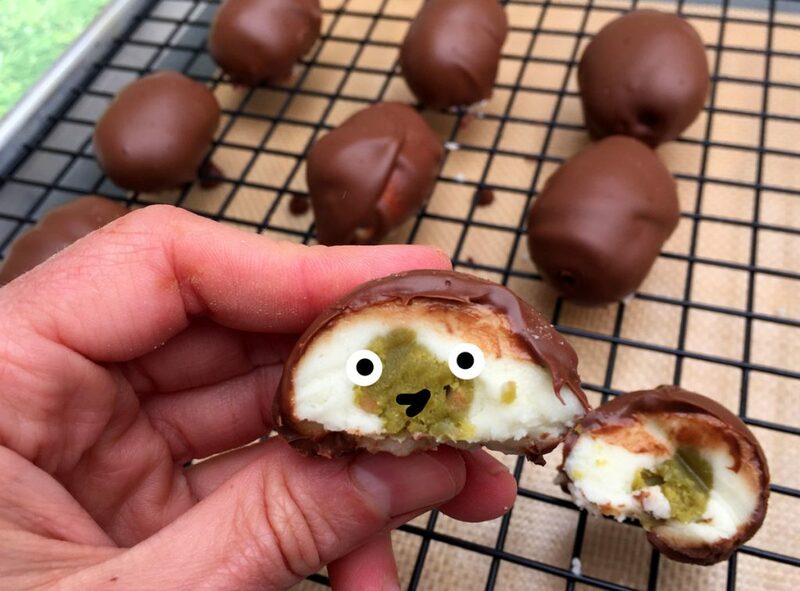 These chocolate eggs may look quite innocent, but they have a surprise inside. 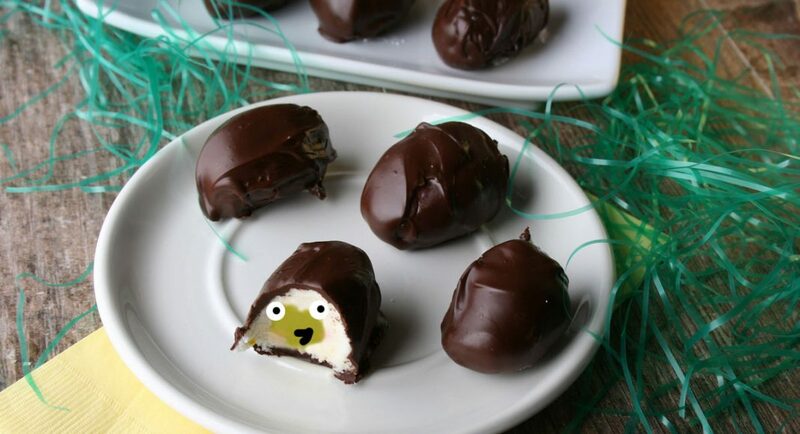 As you bite through the chocolate coating and sweet vanilla filling, you’ll discover a core of cannabutter which is bound to make this an Easter unlike any other. They’re easy to make and the effects are long-lasting, so you’re bound to be enjoying these long after the Easter egg hunt is over. 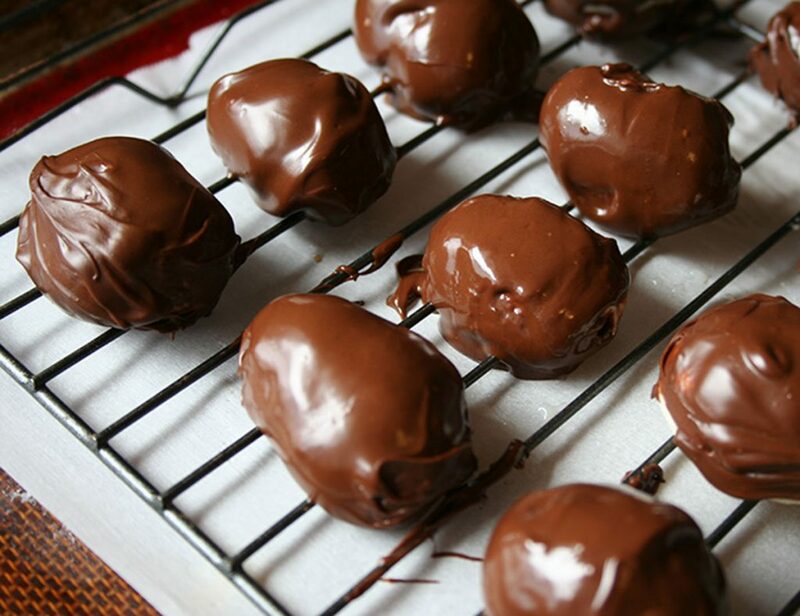 Note: This recipe can be made with regular cannabutter or vegan cannabutter. 1. 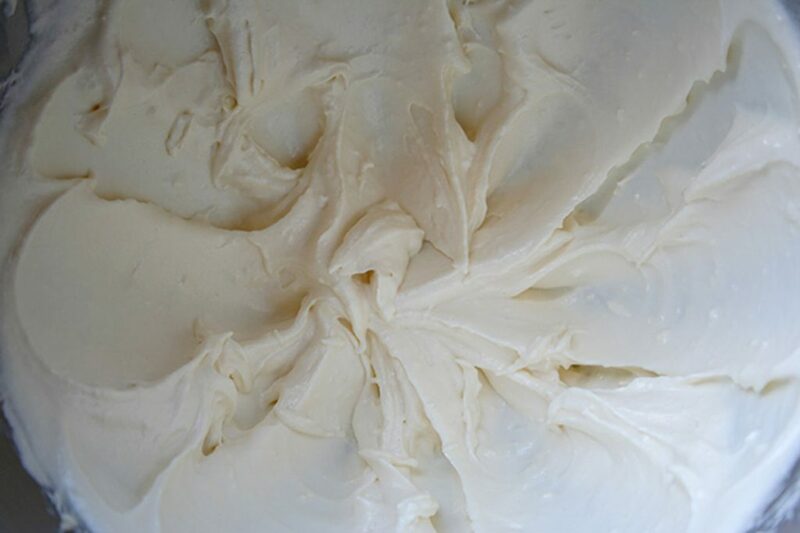 Combine the butter, sweetened condensed milk, vanilla extract and salt in the bowl of a stand mixer fitted with the paddle attachment. Mix on medium-high for about 3 minutes, or until creamy. Add the sugar, one cup at a time, until the mixture has thickened to the texture of play-doh. 2. Grab a teaspoon of your cannabutter; since it is slightly cool, you should be able to easily roll it into a ball. Then, grab a heaping tablespoon of white dough, and roll it into a (larger) ball. Flatten the white dough slightly to make an indent. 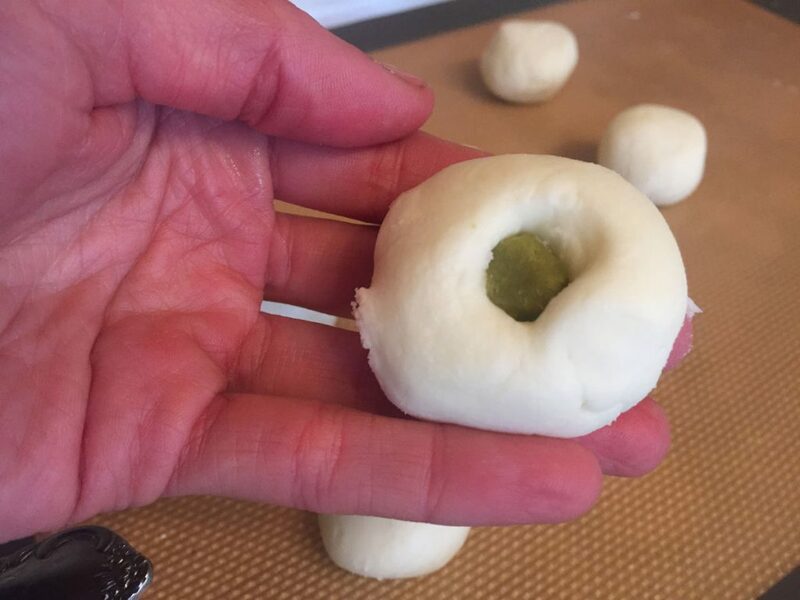 Place the cannabutter ball in the center, then gently wrap the white dough around the yellow dough, covering it all around. Shape into an egg shape. Continue with all of the portions of dough, wrapping a teaspoon of cannabutter into each, until you’ve run out of dough. I personally got about 24 eggs from this batch. 3. 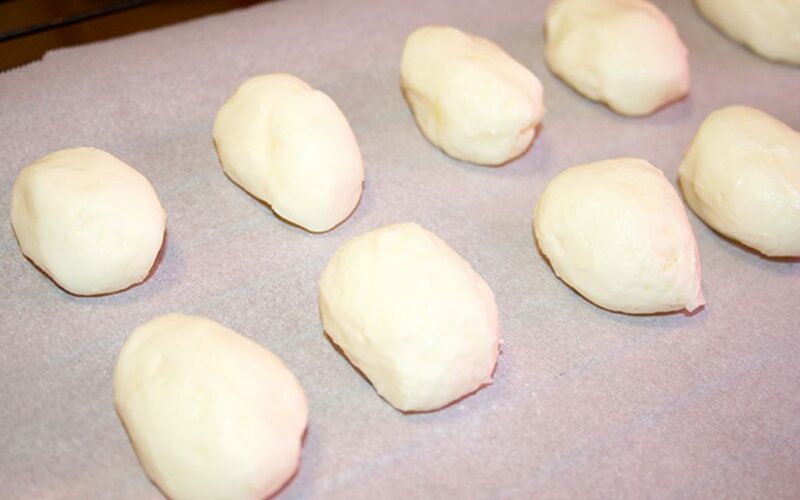 Place the egg-shaped dough portions on a baking sheet lined with parchment paper, and freeze for about 30 minutes. You want them to be really firm for the next step. 4. Meantime, melt your chocolate, either in the microwave or in a double boiler. 5. Remove the chilled egg centers from the freezer. 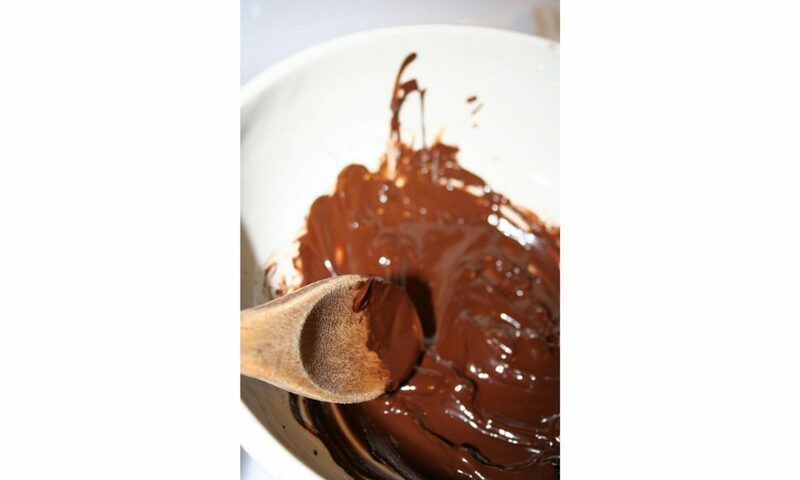 Dip the eggs into the melted chocolate, coating on all sides. Let the excess chocolate drip off. Transfer the candies to a wire rack above a sheet of parchment paper (or right on the parchment, if you want them to retain a pretty coating on all sides). Let the eggs set until firm. Enjoy!